Marin Bishop has always played by the rules, and it's paid off: at twenty-eight she has a handsome fiance, a prestigious Manhattan legal career, and the hard-won admiration of her father. But with one careless mistake, she's on the verge, suddenly, of losing everything. When a forbidden tryst with a high-powered partner at her firm is exposed, Marin finds herself unemployed and alone, all in a single day, and terrified to admit such messiness to her parents, whose thirty-year marriage is, in her eyes, the model romance. 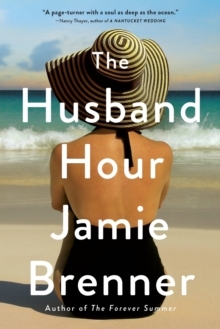 Before Marin can summon the courage to face her family, a young woman from LA, Rachel Moskowitz, shows up, claiming to be Marin's half-sister and urging Marin to accompany her on a soul-searching journey to Cape Cod. 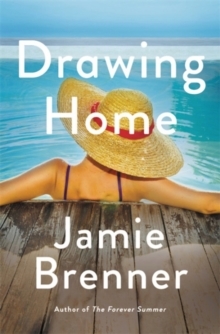 Needing to escape and looking for her own answers, Marin soon finds herself on a surreal road trip to Provincetown, where she and Rachel seek refuge with Amelia, Rachel's paternal grandmother and the longtime owner of a beloved beachside inn on the verge of shuttering. Just when it seems like things can't get any more complicated, Marin's mother appears at the inn, bringing with her shocking truths that will shake Marin's beliefs--in love, in her own identity, and in where she came from - even further. 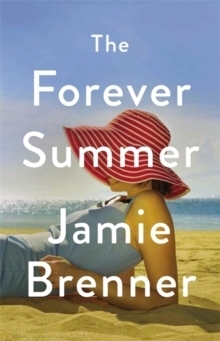 Full of delicious descriptions of coastal New England and richly imagined characters, THE FOREVER SUMMER is an emotional, hot-topic page-turner and a powerful exploration of what happens when our notions of love, truth, and family are put to the ultimate test.